Strawberries…. I love you. You taste so fine on EVERYTHING. Step 1. Toast bread you bread of choice under a grill or via toaster. Step 2. Once bread has sprung from toaster, check if toasty enough. If not, re-toast. Step 3. Toasted toast then must be vigorously slathered with tahini. Step 4. 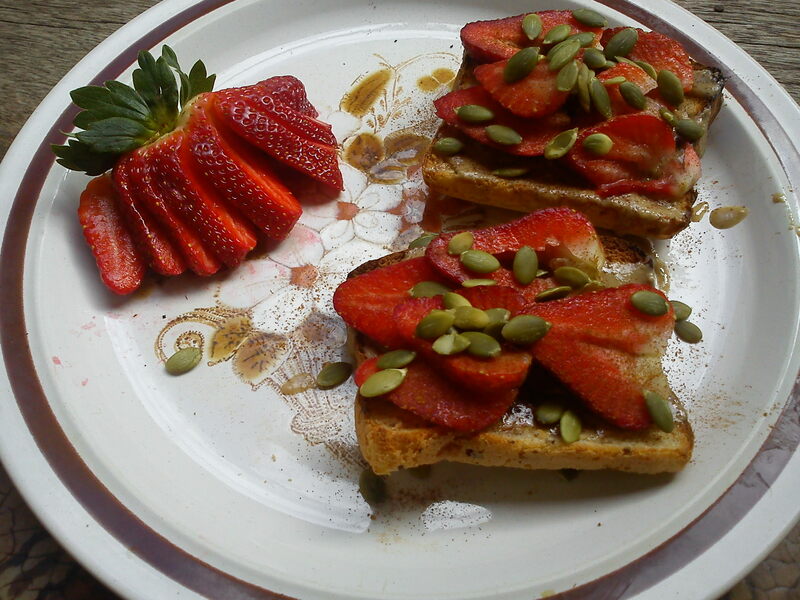 Top with strawberries, and sprinkle on the pepitas and cinnamon.